Once per semester a retreat is arranged for the deans, which in reality is Uppsala University’s big management meeting. Besides the deans of the nine faculties, which explains the name of the meeting, the proceedings are attended by the University Management, the advisers to the Vice-chancellor, and everyone involved in the academic leadership structure at the domain and faculty levels (vice-rectors and their deputies, deputy deans, division deans), and a few more associates. The foci for the autumn meeting were autonomy and quality work – two issues that turned out to be intertwined in more than one way. The theme for Tuesday afternoon was autonomy. 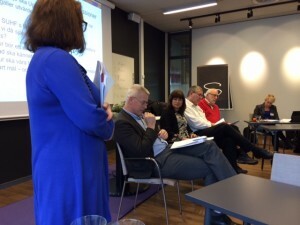 Under the leadership of moderator Kerstin Jacobsson we heard contributions from Shirin Ahlbäck Öberg, Sverker Sörlin and Sten Heckscher. They discussed the preconditions for autonomy and its possible forms. The autonomy discussion is primarily about universities’ relation to the state, but it is also about the forms of internal work, governance, and management at higher-education institutions. These forms, in turn, involve some existential questions for the academy: What is a university? How can the integrity of universities and intellectual freedom be guaranteed in a time when society has ever greater – and indeed largely justified – expectations regarding what the sector is supposed to “deliver”? The point of departure for the autonomy discussion was this autumn’s work with and the debate surrounding the proposal concerning higher-education foundations. Even though that proposal now seems to be moribund following comprehensive criticism it received when it was circulated for comment, it’s important to continue this discussion. There was great agreement about some points. In the continued autonomy process, we as higher-education institutions should take a more active part, and we should more clearly think through and formulate what kind of autonomy we want to have, rather than passively waiting for the government’s ‘next offer’. But it is also a matter of placing autonomy in relation to other challenges facing the sector. Some of the questions taken up: What criteria for success do universities have for excellent research or high-quality education, for example? What organisational form is most conducive to these criteria? With 90 % state funding, what justified requirements can the state impose? How can we fulfil society’s demands that we supply Sweden with the competence it will need? What problems do we aim to resolve with a new organisational form? What can we achieve within the existing structure as a public authority? Sverker Sörlin maintained that autonomy would probably benefit the advancement of academic excellence, but that the connection is less clear when it comes to the quality and dimensioning of education – which after all ultimately aims to secure the Swedish supply of competence – and when it comes to the social utility and relevance of universities more generally. Sten Heckscher reminded us that while autonomy is important it is not the only important issue. Also central are the quality of first-cycle education, recruitment issues, internationalisation, the tendency that higher-education institutions are turning into “project hotels for researchers who apply themselves out of the community and teaching” or the effects of “overly simplistic evaluation and resource allocation systems”. Heckscher claimed that many of today’s hurdles could be overcome in principle within the framework of the public authority form “if only we have the will”. He reminded us about the importance of money. Whoever provides the funding always has a legitimate demand to have a say in how resources are used. Sörlin shared this view, and he indulged in “dreaming” a scenario where the state, in its wisdom, would set aside a very large resource, preferably SEK 100 or 200 billion, as basic capital for a number of independent higher-education institutions. Ann Fust moderated Wednesday afternoon, when the focus was on quality work. The starting point was the “quality paradox” that prevails today in both education and research. Besides the Vice-Chancellor and Deputy Vice-Chancellor, Åsa Kettis, Per Andersson and Joseph Nordgren provided introductory remarks. 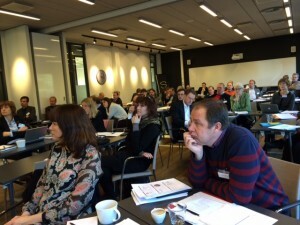 In terms of education, we are now largely in the jaws of the Swedish Higher Education Authority (UKÄ), whereas the Association of Swedish Higher Education (SUHF) has proposed a model in which higher-education institutions themselves would take the responsibility for developing quality systems that, following approval from UKÄ, ought to be able to replace the national system. On the research side, the situation is rather the opposite. Here we have thus far relied on our own major evaluation projects (Q&R07 and Q&R11), but now there is a proposal that these could be replaced to some extent by national systems that the Swedish Research Council is now investigating, as directed by the government. The opinion of the Meeting of the Deans was rather unequivocally in favour of having Uppsala University signal that we want to take charge of our own quality matters. This, too, is an autonomy issue. It is highly rewarding for us in University Management to be in a position to initiate a discussion of these issues. And it’s important to point out that the Meeting of the Deans is just the beginning. Both autonomy and quality systems involve long-term processes. It’s essential that we create arenas to continue a broad discussion, both within Uppsala University and together with institutions that we collaborate with. One key arena is work with revising our goals and strategies. 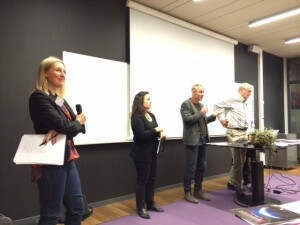 Göran Magnusson and Coco Norén, who are directing this work, rounded off the Meeting of the Deans with their conclusions from the discussions. They pointed out that the two days complemented each other. The quality issue is about autonomy and collegiality, and how we make use of the freedom we have. They summarised the two discussions in a few keywords: responsibility, quality, trust – and collaboration among the various parts of this broad University. Many thanks to all of those who contributed to an inspiring, rewarding, laborious but extremely enjoyable day!